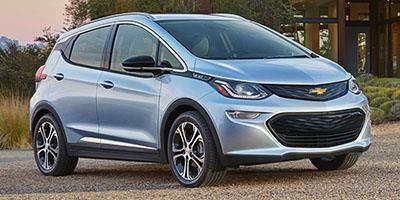 Be the first to review this 2019 Chevrolet Bolt EV. Battery caught on fire in my driveway while charging. Called the dealer all they had to say was it was the way I was charging it even though the chord and charge port were not hot, melted or destroyed. Called customer service and they said they open a case. Absolutely no urgent in finding out what happened, still waiting on them. If it happened while my kids were in there this would be a devastating incident, even if the weather conditions in my area were windy that day it would have been devastating setting my house and neighbors on fire. We had luck that day that it was only the car. Long range is clearly the most prominent benefit of Chevrolet’s Bolt EV, leaping well ahead of small electric cars from a couple of years ago. Not only does it look - and drive - like a conventional car, it’s readily available at dealerships. Lack of standard active safety features (especially automatic braking) is a definite drawback, and comfort could be better. Even so, Chevrolet’s latest EV entrant is running close to the leaders of the battery-powered pack.